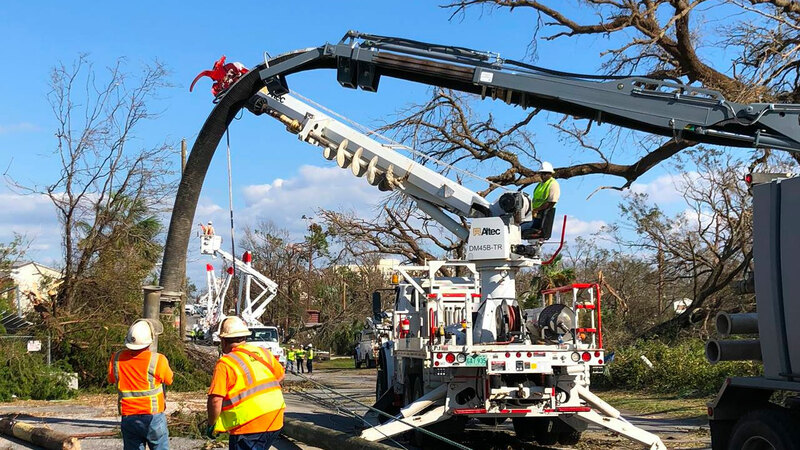 Gulf Power continues to work around the clock as crews repair and rebuild the electric infrastructure in the areas severely affected by Hurricane Michael, bringing the total number of customers restored to more than 70,000 – or more than 50 percent of impacted customers. Progress is being made in some of the hardest hit areas where the most extensive electric system rebuild is required for power restoration. Gulf Power has more than 6,700 lineworkers and support personnel already on the ground in the most devastated areas.